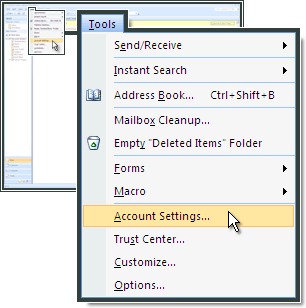 Open Outlook and select Tools. Click Account Settings. 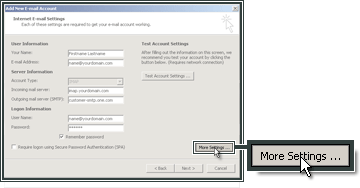 Check Manually configure server settings or additional server types. 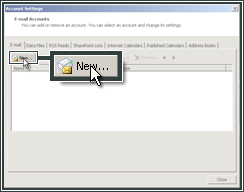 Choose IMAP as your account type. 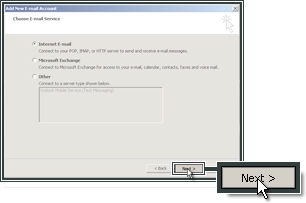 For Incoming mail server (IMAP), enter imap.one.com. 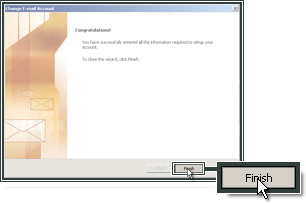 For Outgoing mail server (SMTP), enter send.one.com. 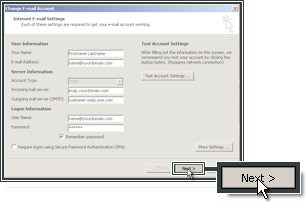 In Logon Information enter the e-mail address and password that you created in the control panel. Select Outgoing Server and then My outgoing server (SMTP) requires authentication. Select Advanced. 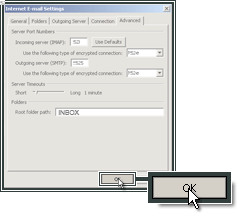 In Incoming Server (IMAP) enter 993 and select SSL. In Outgoing server (SMTP) enter 465 and select SSL. For Root folder path enter INBOX with uppercase letters.